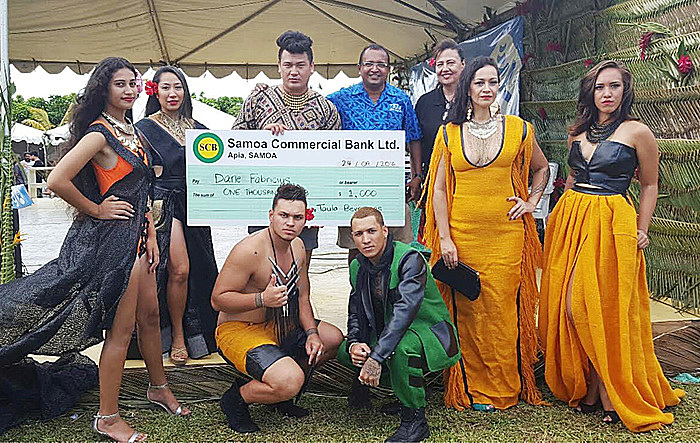 HELP FOR EMERGING DESIGNER: Dane Mulinu’u Fabiricius (third from left standing) received a $1,000 donation from Taula Beverages to assist him with his preparations for the Pacific Fashion Runway Show in Sydney. 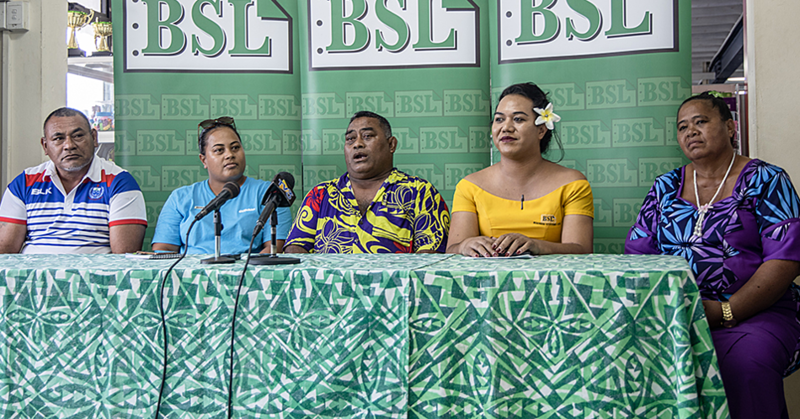 The designer is pictured with Mike Mahendra of Taula Beverages and Adele Kruse, the President of the Samoa Hotels Association, and models at the Food Festival yesterday. 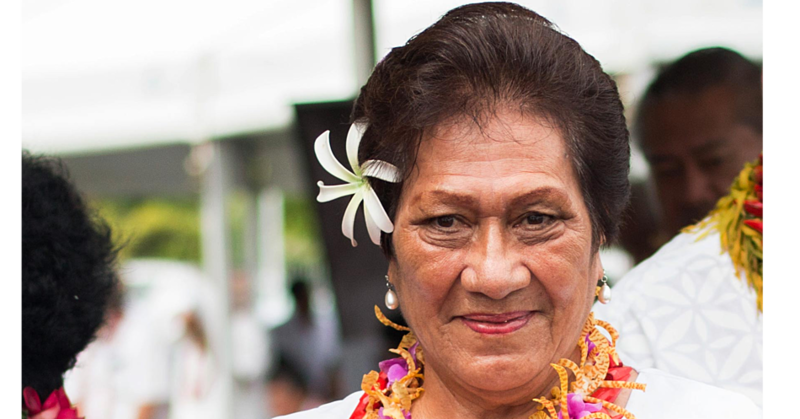 Photo / OneLook Communications.